Explore the Many Advantages of Doing Business Here. The BSBEDF works with businesses considering a location or expansion in our area, drawing on a range of public and private financing options. The BSBEDF has the relationships and expertise to connect businesses with federal, state and local government financing and incentive programs as well as venture capital resources and private sources of capital and financing. Various incentives, financing options and related tools available from the State of Texas, Comal County and the City of Bulverde are highlighted below that can assist both existing and new businesses. 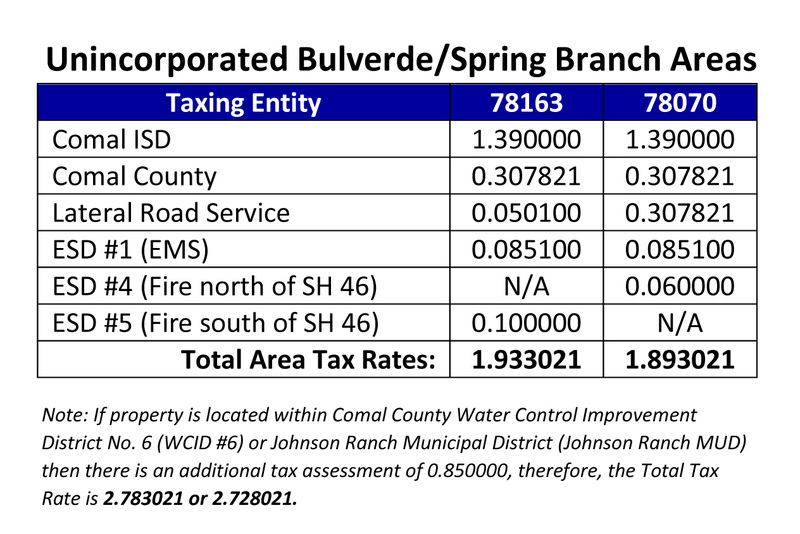 The BSBEDF can provide customized information on the taxes and incentives that affect your business within Bulverde/Spring Branch and Comal County. Looking for more help with financing and incentives programs? Contact us anytime for help and consultation. The BSBEDF can prepare an individualized informational package on taxes and incentives specific to your needs and potential location in Bulverde/Spring Branch. We can help you explore the many advantages Bulverde/Spring Branch, Comal County, and the State of Texas have to offer. This limited taxation ranks Texas at No. 14 overall in the Tax Foundation’s 2017 State Business Tax Climate Index. And, Texas has been named the best state for businesses and leads the nation in new jobs. State Sales Tax Exemptions: These include tangible property which will be a component part of a manufactured product or consumed in processing, sales delivered out of state, and a number of other items, including food. Franchise Tax: The Texas franchise tax is a privilege tax imposed on each taxable entity chartered/organized in Texas or doing business in Texas. The tax is based on a corporation’s taxable capital and earned surplus. The current rate for taxable capital is 0.25% for the privilege period. The tax rate for earned surplus is 4.5%. The amount taxable on both is determined by gross receipts from business done in Texas, divided by gross receipts from all business done in and out of the state. Franchise tax exemptions, and franchise tax deductions are available for renewable energy (i.e. solar, wind, ethanol, and biodiesel) equipment and systems. For more information see the Renewable Energy Incentive below. Unemployment Tax: All Texas employers pay state unemployment tax. A new employer is taxed at 2.7% of the first $9,000 on individual earnings for at least six quarters to establish an experience rate. After that time, the employer may qualify for a rate adjustment. 2.7% or NAICS industry average whichever is higher. Ad Valorem (Property) Taxes: Texas has no property tax at the state level. Taxes are levied by all applicable local taxing authorities based on a property’s full market value on January 1 of the tax year and is assessed on 100% of appraised value. Properties may qualify for special exemptions on valuation if a valid application is filed by April 30. Texas businesses do not pay an inventory tax, but inventory is taxed as personal property. Bulverde/Spring Branch spans three zip codes 78070, 78163 & 78260. Properties located within the 78070 and 78163 zip code areas are located within Comal County and many of the properties are located within the city limits of the City of Bulverde or the city limits of Spring Branch. Residential properties located in the 78260 area are within the unincorporated area of Bexar County known as the Lookout Canyon/Timberwood Park area while the US 281 Commerical Corridor area in Bexar County located along US 281 from Marshall Road to the Bexar/Comal County Line was annexed into the City of San Antonio effective December 31, 2016. The City of Bulverde has established a local hotel occupancy tax within its City Limits and its Extraterritorial Jurisdictional (see City of Bulverde Code of Ordinances Chapter 11, Article 11.04, Hotel Occupancy Tax) in accordance with Section 351.0025 of the Texas Tax Code. Revenue from this tax will be used to promote tourism and the convention and hotel industry. Portions of the fund to be dedicated to support convention and tourism centers, promotional and tourist advertising of the City, promotion of the arts, historical preservation and program support for events and activities that attract tourists to the City of Bulverde. The City’s Hotel Occupancy Tax rate is 7%. The State’s Hotel Occupancy Tax rate is 6%. 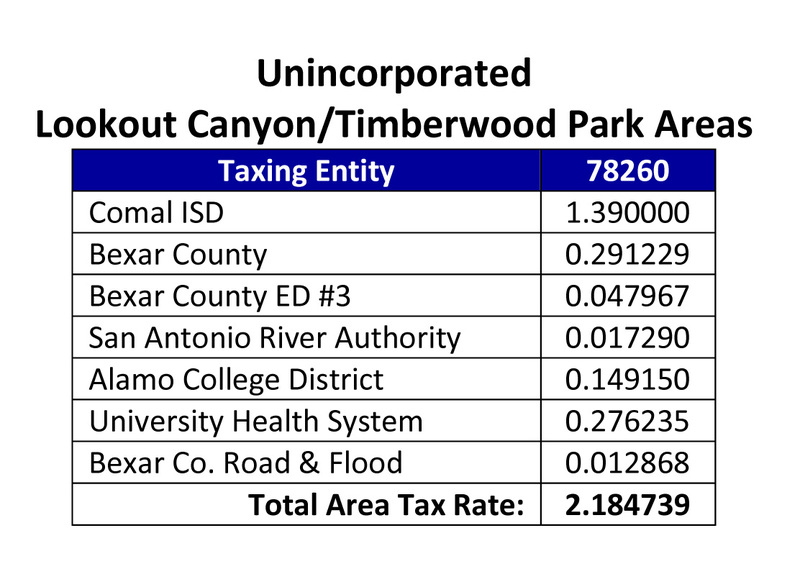 Water Oriented Recreation District of Comal County (W.O.R.D.) is a park and recreation district created by the Texas Legislature in 1987 and voted for by the residents of Comal County in 1988. The purpose of W.O.R.D. is to improve the environment and welfare of the district by conserving natural resources, improving public health, promoting water safety, and operating public parks located in the district. The W.O.R.D. district encompasses Canyon Lake and over 30 miles of floatable water on the Guadalupe River above and below Canyon Lake. It exists within Comal County north of highway 46 to the west beginning at Guadalupe River State Park and runs east to the New Braunfels city limits. Click here for a map of the WORD District. W.O.R.D. imposes and collect taxes in the form of user fees pursuant to §324.099 Local Government Code. Click here for information on the Policies, Rules, Regulations and Procedures for Permit Holders of the Comal County Water Oriented Recreation District to include User Fees associated with rentals, services or lodging. Below is a list of Local Incentives that, if eligible, the City of Bulverde, Comal County, Comal ISD and other local governmental entities and utility providers may offer new or existing businesses. For more information, contact Sherry Mosier at 830.885.4331 or sherry.mosier@bsbedf.com. Chapter 380 of the Texas Local Government Code, authorizes municipalities to offer a range of incentives designed to promote state or local economic development. Specifically, it allows for the provision of loans and grants of city funds, as well as the use of city staff, city facilities or city services, at minimal or no charge. To establish a loan or grant or to offer discounted or free city services, the city must meet the requirements contained in the Texas Constitution and in applicable Texas statutes. Additionally, cities must review their city charters and any other local provisions that may limit the city’s ability to provide such a grant or loan. Chapter 381 of the Texas Local Government Code allows counties to provide incentives encouraging developers to build in their jurisdictions. A county may administer and develop a program to make loans and grants of public money to promote state or local economic development and to stimulate, encourage and develop business location and commercial activity in the county. The county also may develop and administer a program for entering into a tax abatement agreement. This tool allows counties to negotiate directly with developers and businesses. 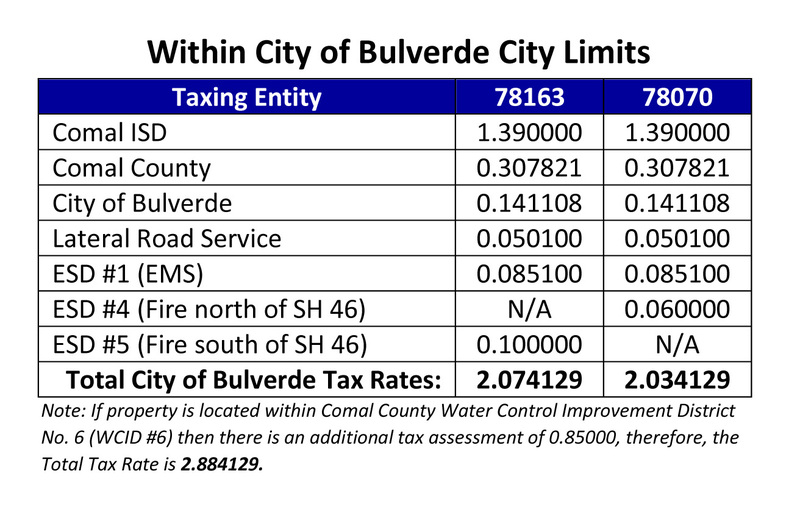 The City of Bulverde offers property tax abatements for personal and real property as afforded by Chapter 312 of the Texas Local Government Code on a case by case basis tailored to the company’s needs and based on the type, value, and productive life of the property to be abated; number of jobs created or retained; capital investment; local payroll created; amount of local sales tax generated, and increase in tax base during and after abatement. 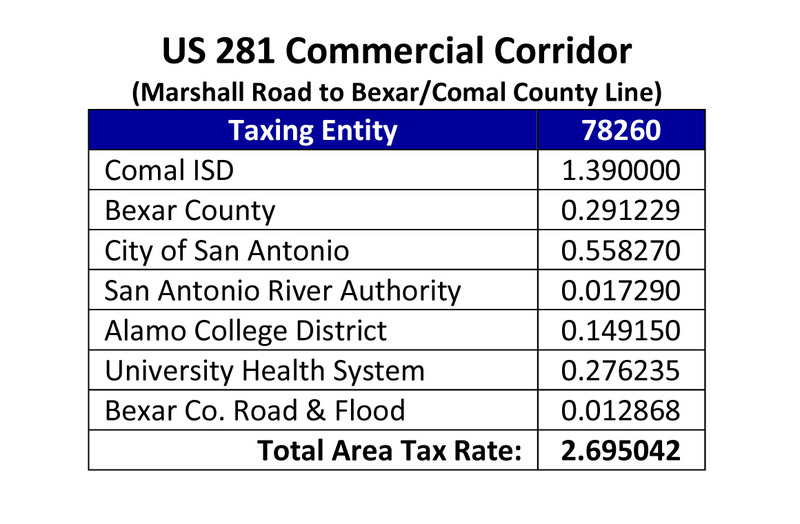 Comal County offers property tax abatements in compliance with its Tax Abatement and Rebate Guidelines. Click here to download Comal County’s Guidelines and Criteria for Tax Abatement’s and Rebates. Click here to download Comal County’s Application for Tax Abatement/Economic Development Incentives. Tax increment financing is a tool authorized by Chapter 311 of the Texas Tax Code which local governments can use to employ public financing for improvements to infrastructure and buildings within a designated area known as a reinvestment zone. The future tax revenues of each taxing unit that levies taxes on the property located within the zone repay the cost of improvements. Each taxing unit may choose to dedicate all, a portion of or none of the tax revenue gained as a result of improvements within the reinvestment zone. A reinvestment zone may be initiated directly by a municipality or through a petition submitted by the affected property owners. Although counties were authorized by statute to form reinvestment zones in 2005, Attorney General Opinion KP-0004 issued in 2015 stated that a court would likely rule a county reinvestment zone is not permitted under the Texas Constitution as currently written. Counties interested in initiating tax increment financing should seek the advice of legal counsel. 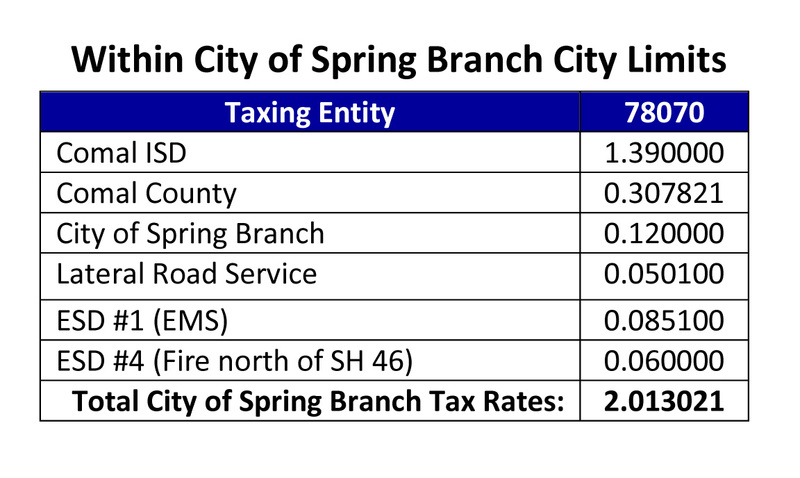 Once a city has begun the process of establishing a tax increment financing reinvestment zone, other taxing units (except school districts) are allowed to participate in the tax increment financing agreement. These zones are commonly referred to either as a tax increment financing (TIF) zone or a tax increment reinvestment zone (TIRZ). The relevant statute outlines a multi-step process for implementing tax increment financing. A community may choose to offer the Freeport Exemption for various types of goods that are detained in Texas for a short period of time. Freeport property includes goods, wares, merchandise, ores, and certain aircraft and aircraft parts. Freeport property qualifies for an exemption from ad valorem taxation only if it has been detained in the state for 175 days or less for the purpose of assembly, storage, manufacturing, processing, or fabricating. For certain aircraft parts, a community, by official action, may extend the deadline to 730 days. a 10-year limitation on the taxable property value for school district maintenance and operations tax (M&O) purposes. The minimum limitation value varies by school district. The application for a limitation on the appraised value for M&O purposes is submitted directly to the school district and requires an application fee that is established by each school district. To qualify for a tax credit, a separate application must be submitted to the school district after property taxes for the last complete year of the qualifying time period are paid. The credit is for the M&O taxes paid in excess of the limitation amount in each complete year of the qualifying time period. The school district’s tax collector must credit the overage in equal parts over the last seven years of the agreement, but the credit in each year may not exceed 50 percent of the total taxes paid on the qualified property during that year. Any eligible amount not credited during the seven-year period are to be credited over the following three years, but the amount credited in each year may not exceed the total taxes paid on the qualified property in that year. 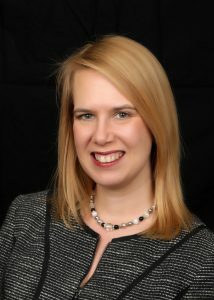 For more information on this incentive program and to obtain application forms, agreement forms, and reporting forms, please visit the State Comptroller’s webpage at https://comptroller.texas.gov/economy/local/ch313/index.php or contact Sherry Mosier 830.885.4331 or sherry.mosier@bsbedf.com. A Public Improvement District is a defined geographical area established to provide specific types of improvements or maintenance which are financed by assessments against the property owners within the area. PIDs provide a development tool that allocates costs according to the benefits received. A PID can provide a means to fund supplemental services and improvements to meet community needs which could not otherwise be constructed or provided. Chapter 372 of the Texas Local Government Code authorizes the creation of PIDs by cities (Click here to review Ch. 372). The owners of the properties in the defined area can request the City to form a PID through a petition, which may include the establishment of an Advisory Body. With the establishment of an advisory body, the property owners within the PID have control over the types of improvements, level of maintenance, and amount of assessments to be levied against the property owners. Below is a list of Incentives and Programs that, if eligible, the State of Texas can offer new or existing businesses. For more information, contact Sherry Mosier at 830.885.4331 or sherry.mosier@bsbedf.com. Collectively PDSBI, is a revolving loan program financed through original bond issuances. The primary objective of the program is to aid in the development, production and commercialization of new or improved products and to foster and stimulate small business in the state. The fund provides asset-based lending with flexible loan terms, competitive Loan-to-Value (LTV) and interest rates. Loan proceeds can be used for a broad range of capital and operating expenditures. Your company can secure loans with property, plant and equipment which can be amortized over the life of the asset. Communities or individual investors can assist as Guarantors. To be eligible, applicants must have at least 3 years of operating history and have unencumbered assets available for collateral. Preference for funding is given to the state’s defined industry clusters including, but not limited to: nanotechnology, biotechnology, biomedicine, renewable energy, agriculture and aerospace. Texas is interested in creating and retaining high-quality jobs. For more information, please contact the Economic Development Finance department within the Governor’s Economic Development & Tourism Office at (512) 936-0100. Provides a source of financing to communities that have adopted an economic development sales tax. Communities may leverage future sales tax revenues to expand economic development through business expansions, business recruitment and exporting. Awarding loans from $25,000 to $5 million, the TLF is available for interim, long-term or gap financing. TLF loans provide flexible financing terms to match the unique needs of communities. The funds are low-cost loans, providing capital to communities at floating Prime Rate, as published in the Wall Street Journal. Generally, economic development corporations are eligible to borrow up to $5 million. Future sales tax revenues serve as collateral for loan repayment with required debt service coverage ratios specified in the Texas Leverage Fund Program Guidelines. Pledged tax collections not needed for actual debt service are available for other projects. Loan proceeds must be used to pay eligible “costs” of “projects” as defined by the amended Development Corporation Act of 1979. Under the Act, examples of eligible projects include land, buildings, machinery and equipment for manufacturing and industrial operations as well as sports, athletic, entertainment and public park purposes and events. For more information and/or to request an application packet, please contact the Governor’s Economic Development Finance department at (512) 936-0100. Provides tax-exempt or taxable financing for eligible industrial or manufacturing projects as defined in the Development Corporation Act of 1979. The Act allows cities, counties, and conservation and reclamation districts to form non-profit industrial development corporations (IDCs) or authorities on their behalf to provide bond financing for projects within their jurisdictions. The IDC issues bonds to finance the capital costs for an industrial or manufacturing business. Generally, the bond debt service is paid by the business under the terms of a lease, sale or loan agreement. As such, it does not constitute a debt or obligation of the sponsoring governmental unit, the IDC or the State of Texas. Small issue bonds are limited to manufacturing facilities. The bond amount cannot exceed $10 million and the total capital expenditure limitation for the project is $20 million. Exempt facility bonds can be issued to finance facilities for the furnishing of water, sewage and solid waste disposal facilities, electric energy or gas production facilities, local district heating or cooling facilities and qualified hazardous waste facilities. Other exempt facility bonds can be issued to finance airports, dock and wharf facilities, mass commuting facilities and high-speed inter-rail facilities. These facilities must be government owned, but they can be leased or operated by management contractors. Businesses interested in applying for an industrial revenue bond should contact the local industrial development corporation as well as legal counsel specializing in the issuance of municipal bonds who will submit application materials on the business’ behalf. The Industrial Revenue Bond Program is administered through the Office of the Governor, Economic Development Finance. For more information, please contact the Economic Development Finance department within the Governor’s Economic Development & Tourism Office at (512) 936-0100. Assists defense communities in enhancing the military value of a military facility in their area. The TMVRLF can help defense communities develop job-creating projects that minimize the negative effects of a defense base realignment or closure decision that occurred in 2005 or later. The fund can loan funds to help defense communities construct infrastructure to accommodate new or expanded military missions resulting from a base realignment and closure decision that occurred in 2005 or later. The Revolving Loan Fund provides a low-cost source of financing to eligible defense communities who meet the application criteria. The minimum amount of a loan is $1 million, while the maximum amount of a loan is determined by the availability of funds. The amount of financing that can be provided is also dependent upon the creditworthiness of the applicant. The State may loan up to 100 percent of the cost of the described project. The Texas Military Value Revolving Loan Fund program is administered by the Texas Military Preparedness Commission. For additional information regarding the program, visit the following page or contact the Texas Military Preparedness Commission. For more information, please contact the Economic Development Finance department within the Governor’s Economic Development & Tourism Office at (512) 936-0100. A private government-sponsored venture capital company formed to increase the availability of growth capital for small businesses located in Texas. The program is also intended to stimulate job creation in Texas by requiring supported businesses to have at least 80 percent of payroll/manpower located within Texas. It’s one way small businesses in Texas receive venture capital. To be eligible, the business must be headquartered in Texas (or relocate to Texas within 90 days of the CAPCO’s first investment); the business can have no more than 100 employees at the time of investment; 80 percent of payroll/workforce must be located within Texas; the primary business activity may be manufacturing, processing or product assembly, research and development or tangible services. The business may not be primarily engaged in retail sales, real estate development, insurance, banking, leasing, lending or professional services. By statute, a percentage of the CAPCO investments must be used for early stage businesses and businesses located in strategic investment areas. Get more information about CAPCO and the application process. For more information, please contact the Economic Development Finance department within the Governor’s Economic Development & Tourism Office at (512) 936-0100. Established to increase the availability of financing for businesses and nonprofit organizations that face barriers in accessing capital or fall outside the guidelines of conventional lending. To begin the process, the borrower must apply for a loan with a participating lender (listed below) with terms established between the borrower and the lender. Use of proceeds may include working capital or the purchase, construction, or lease of capital assets, which include buildings and equipment. Construction or purchase of residential housing and simple real estate investments (excluding those occupied by the applicant’s business), are ineligible uses of capital access proceeds. For more information download and review the following documents: CAP Program Summary and FAQs. You may also contact a participating lender listed below or call the Office of the Governor’s Economic Development Finance department at (512) 936-0100. The Event Trust Funds program applies local and state gains from sales and use, auto rental, hotel and alcoholic beverage taxes generated over a specified period of time. Eligible events are not restricted to sports, but the venue must have been selected through a highly competitive selection process. The Event Trust Funds can be used to help pay costs related to preparing for or conducting an event, including equipment, or to pay principal and interest on notes used to build or improve facilities to host the proposed event. One hundred percent of allowable expenses can be funded provided sufficient tax receipts are deposited in the trust fund. The state has three separate event trust fund programs (the Events Trust Fund, Major Events Reimbursement Program and Motor Sports Racing Trust Fund), each designed to support different types of events. Guidelines to the Events Trust Fund Programs should be reviewed before applying to the program. View the Event Trust Funds Award database (as of July 31, 2017) of ETF/MERP/MSRTF Application Approvals and Disbursements since September 1, 2015. Updates will occur monthly. An economic development tool for local communities to partner with the State of Texas to promote job creation and significant private investment that will assist economically distressed areas of the state. Approved projects are eligible to apply for state sales and use tax refunds on qualified expenditures. The level and amount of refund is related to the capital investment and jobs created at the qualified business site. What is my Block Group? Provide state sales and use tax exemptions to taxpayers who manufacture, fabricate or process tangible property for sale. The exemption generally applies to tangible personal property that becomes an ingredient or component of an item manufactured for sale, as well as taxable services performed on a manufactured product to make it more marketable. Natural gas/electricity exemptions require a “predominant use study” that shows that at least 50 percent of the electricity or natural gas consumed by the business is used directly in the manufacturing process. Manufacturing exemptions are administered by the State Comptroller of Public Accounts. For information about applying for these exemptions and a full explanation of what is and is not exempt, visit the Comptroller’s website. Also known as the Deal Closing Fund. This fund offers a special incentive to choose Texas over other states. The fund is a cash grant used as a financial incentive tool for projects that offer significant projected job creation and capital investment and where a single Texas site is competing with another viable out-of-state option. Since its inception in 2004, the TEF has awarded over 140 grants totaling nearly $600 million across a wide variety of industries and projects committed to creating more than 80,000 jobs and investing more than $27 billion. TEF Award Listing – All Projects to Date (as of May 31, 2017). Award dollar amounts are determined using an analytical model applied uniformly to each TEF applicant. This model assures that the State of Texas will see a full return on its investment within the period of a project contract due to the resulting increase in estimated sales tax revenues. Variations in award amounts are influenced by the number of jobs to be created, the expected timeframe for hiring, and the average wages to be paid. Enacted in 2015 by the 84th Legislature with a goal to bring the best and brightest distinguished researchers in the world to Texas. This program is a matching grant program to assist eligible institutions of higher education in recruiting distinguished researchers. The GURI grant program is operated within the Office of the Governor (“OOG”) in the Economic Development and Tourism Division. To get additional information please visit: http://gov.texas.gov/ecodev/guri/home. Economic development tools designed to provide financial resources to non-entitlement communities. Funds from the infrastructure program can be utilized for public infrastructure needed to assist a business that commits to create and/or retain permanent jobs, primarily for low and moderate income persons. Funds from the real estate program must be used for real estate development to assist a business that commits to create and/or retain permanent jobs, primarily for low and moderate-income persons. The real estate and/or improvements must be owned by the community and leased to the business. These programs encourages new business development and expansions. Visit the Texas Department of Agriculture site for more program information. Designed to build the economy through the moving image industry and create jobs in Texas. TMIIIP provides qualifying film, television, commercial, visual effects and video game productions the opportunity to receive a cash grant based on a percentage of a project’s eligible Texas expenditures, including eligible wages paid to Texas residents. Grants vary by budget levels and types of productions, and are issued upon completion of a review of the project’s Texas expenditures. VIsit the Texas Film Commision for more information. An infrastructure grant program administered by the Texas Military Preparedness Commission (TMPC). The program is designed to assist defense communities that are responding to or recovering from a reduction or termination of defense contracts, and those that have been positively affected with new or expanded military missions, as well as, qualified job retention. DEAAG funding is available to local municipalities, counties, defense base development authority, junior college districts and Texas State Technical College campuses, and regional planning commissions representing these communities. Grants awarded may range from $50,000 to $5 million per project. View program details here. Texas’ premier job-training program providing local customized training opportunities for Texas businesses and workers to increase skill levels and wages of the Texas workforce. The Texas Workforce Commission administers funding for the program. Success is achieved through collaboration among businesses, public community and technical colleges, Workforce Development Boards and economic development partners. For detailed grant information, forms and documents to submit a proposal, visit the Texas Workforce Commission’s Skills Development Fund page by clicking here. Finances the design and implementation of customized job training programs for newly hired employees of small businesses, successfully merging small business needs and local customized training opportunities into a winning formula for putting people to work in Texas. Administered by the Texas Workforce Commission (TWC), the Skills for Small Business program supports businesses with fewer than 100 employees, emphasizes training for new workers, and helps upgrade the skills of incumbent workers. Through this program, up to $2 million from the Skills Development Fund is dedicated to the backbone of Texas’ business community—our more than 433,000 small employers. Small businesses can apply here. Provides community and technical colleges access to training dollars to support high-quality customized training projects statewide. College partners that participate in Self-Sufficiency Fund training strengthen their position as economic development leaders in their communities. Businesses gain a more highly trained workforce, workers upgrade their skills and the Texas economy grows more competitive.The Self-Sufficiency Fund supports training primarily for low-income individuals and those receiving public assistance achieve self-sufficiency and independence. For detailed program information, forms and documents to submit a proposal, visit the Texas Workforce Commission’s Self Sufficiency Fund page by clicking here.